This beautiful backyard Kingwood covered patio deck is perfect for any home. 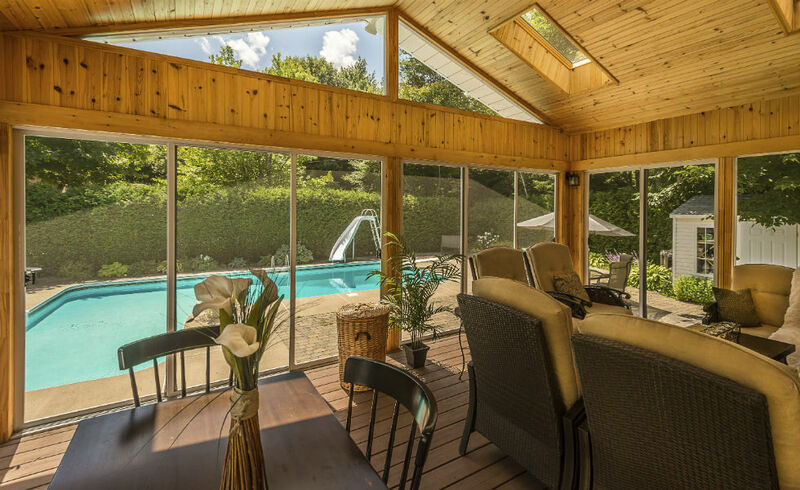 Covered decks are completely custom built to order, with many different options to choose from, such as sliding glass doors depicted in the photo. Decks are weather proofed and built to last the harshest of conditions. Perfect for those who love their backyard, our covered decks offer relief from the summer heat or protection from the frigid winter. Watch your children enjoy the backyard while you put your feet up in a custom built, comforting, and relaxing covered deck. Customer satisfaction is always guaranteed; only the finest, most durable materials will be used to make your outdoor patio. You will love your breathtaking covered deck just as this Kingwood home owner did, we guarantee it!